Cylinder Assembly. 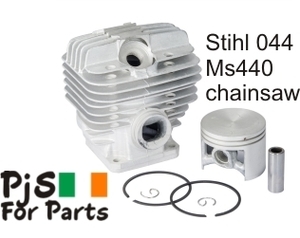 Fits Stihl 044 & MS440. Includes cylinder, piston, pin, rings & clips. New version with 12mm piston bolt.